Dr. Aylin Ozdemir is the president of Pediatric Associates of Jacksonville, Florida; a multi-discipline Integrative Pediatric Practice. Her passion and goal is to treat the whole child, whole family and the community at large. 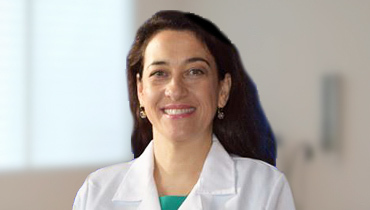 Dr. O, as her patients refer to her, received her medical degree from University of Istanbul School of Medicine followed by an internship at the Queen Mary’s Hospital for Children in the UK, residency training at the Long Island College Hospital and a two-year fellowship in Integrative Medicine at the University of Arizona Center for Integrative Medicine. (coffee break) Dr. O also attended advanced Integrative Family Medicine training at Scripps Hospital and Personalized Medicine and Nutrigenomics training at the Bastyr University. Dr. O remains particularly active with a number of professional medical organizations, working closely with the Duval County Medical Society and the American Academy of Pediatrics in an ongoing attempt to maintain a patient focus for health care in the USA. She is also very involved with medical charitable organizations, providing necessary medical care and education for people in need. Dr. O, her husband, their two wonderful children and two feline friends live in Florida. Cheryl B. Johnson is one of the three NJ State Teacher representatives 2000-2003. 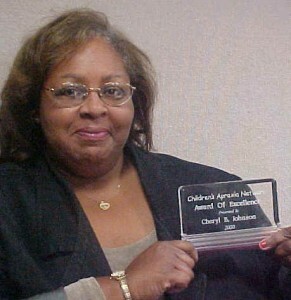 In 2000 Cheryl was one of the 800 teachers nominated for the NJ Award of Excellence, and then selected as one of the only three out of the 800 as the “Best of the Best,” and asked to be filmed for TV commercials to represent the “The Award Of Excellence In Teaching”. Cheryl is a New Jersey certificated Elementary Education Teacher, Nursery School Teacher, Teacher of the Handicap, and a Speech Language Specialist with B.S. and M.A. degrees from Trenton State College (now called The College of New Jersey) Trenton, New Jersey. She is a voice for the special needs children she encounters each day in my public school work setting and private educational consultation firm, “A Voice for the Children”. The American With Disabilities Act empowers her by recognizing her as a supporter of wanting the best for the Special needs population. She has given written and public testimony to the New Jersey Dept. of Education regarding Special Education Code changes. Every night, for about two weeks, I surfed the Net, specifically searching for information concerning children and apraxia of speech. I had a current public school speech caseload that included four kindergarten children who presented with severe delays in the areas of oral motor skill development, unintelligible articulation, and expressive language delay. None of the children had received speech therapy services prior to entering Kindergarten. The parents of the children had never heard of apraxia; they thought their children were late talkers or were stubbornly refusing to “talk correctly”. Three out of four of my kindergarten parents indicated that they wished they had enrolled their children in an early intervention speech therapy program, or were at least informed that one existed that would help their child. Although, my parents have not attended a CAN meeting, they continue to visit the website. At the second meeting I attended, many questions were raised regarding parental rights and educational issues. I found myself providing the answers to many of the questions. I am a New Jersey certificated Elementary Education Teacher, Nursery School Teacher, Teacher of the Handicap, and a Speech Language Specialist with B.S. and M.A. degrees from Trenton State College (now called The College of New Jersey) Trenton, New Jersey; In addition, I am a voice for the special needs children I encounter each day in my public school work setting and private educational consultation firm, “A Voice for the Children”. The American With Disabilities Act empowers me by recognizing me as a supporter of wanting the best for the special needs population. I have given written and public testimony to the New Jersey Department of Education regarding Special Education Code changes. My philosophy for special education is one that coincides with Federal law which states, “in accordance with an IEP, related services must be provided based on an individual need, not administrative convenience or the availability of qualified personnel”. I empower parents in understanding the 14th amendment to the constitution, Section 504 of the Rehabilitation Act and the Individuals With Disabilities Act (IDEA) in order that their children receive the interventions and supports needed to satisfy the federal requirement of a “free and appropriate public education”. when parents understand the federal and state special education laws and codes, they become the power source for their children, allowing the children to receive all necessary services to succeed in the home, school, and community. My involvement with the Children’s Apraxia Network allows me the opportunity to help parents on a pro bono basis. It’s my way of giving back to a community of dedicated parents who are seeking support in getting the best services for their children. “I have no special gift. I am only passionately curious.” Albert Einstein. Dr. Flax is currently the Research Coordinator of the Tallal Lab and a Senior Research Speech Pathologist for the Infancy Studies Laboratory at the Center for Molecular and Behavioral Neuroscience (CMBN) of Rutgers University, Newark, NJ. 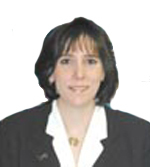 Dr. Flax received her Ph.D. in Speech and Hearing Sciences from The Graduate Center, City University of New York. She is a licensed speech pathologist with over 25 years of clinical experience in the areas of language-based learning disabilities. Prior to joining CMBN, she held the position of Research Speech Pathologist for Isabelle Rapin, M.D. at Albert Einstein College of Medicine, New York where she compared and contrasted language characteristics of autism versus those of specific language impairment. Her current research interests include family/genetic studies of language-based learning disabilities, early predictors of later language and reading difficulties, language processing dissolution in the aging, and the development of assessment tools that target receptive language in toddlers and preschoolers with very limited verbal and motor skills. Staci Greenwald was a special education teacher before attending law school. She has a degree in speech pathology, and is a Certified Teacher of the Handicapped. Her contributions to the firm deal with representation of the disabled in various forums, from the Office of Administrative Law to the Federal Courts. Besides special education issues, she offers advocacy in matters involving the Division of Developmental Disabilities (DDD) and guardianship. 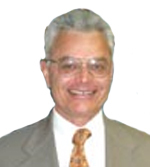 Dr. Tallal is a world-recognized authority on language-learning disabilities. She is a cognitive neuroscientist and a board-certified clinical psychologist and founder and co-director of the Center for Molecular and Behavioral Neuroscience at Rutgers University. 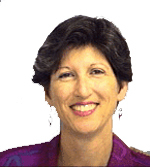 In addition, she is active on many scientific advisory boards and government committees. Paula received a bachelor’s degree from New York University, and then received her doctorate from Cambridge University in 1974. She received further training at Johns Hopkins school of medicine before joining the faculty of UCSD, where she rose to the rank of full professor in the Department of Psychiatry. She was recruited to Rutgers University in 1987 to co-found the Center for Molecular and Behavioral Neuroscience on the Newark campus. Tallal is currently Co-Director and Professor of Neuroscience at Rutgers. In 1996 Tallal co-founded Scientific Learning Corporation, in Berkeley, CA., the company that developed Fast ForWord, a new training program for children with language learning problems. 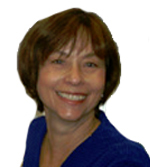 Sara Rosenfeld-Johnson has more than 30 years of experience as a speech and language pathologist. She has spent the last 20 years perfecting her unique brand of oral-motor speech therapy with a high degree of success, even where traditional speech therapy has failed. Now she is devoted to teaching others the methods so they can help their clients with difficult-to-remedy articulation problems. She is the author of “Oral-Motor Exercises for Speech Clarity” and “The HOMEWORK Book “. 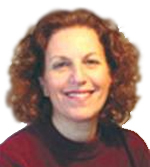 Sara founded Innovative Therapists International in 1995 as a speakers bureau and source for oral-motor therapy tools. She has held seminars throughout the United States as well as in Europe. She is the international spokesperson for Moebius Syndrome and CHARGE Syndrome, and a nationally recognized presenter for Down syndrome and Cerebral Palsy associations for both professional and parent organizations. She also has been a featured speaker for ASHA (American Speech-Language-Hearing Association) state and national conventions. The Ithaca College and Columbia University graduate founded Sara R. Johnson Oral-Motor Speech & Language Associates in South Salem, N.Y. The clinic specializes in the diagnosis and treatment of clients with oral-motor based feeding and/or speech disorders. Theodore Sussan began as a general practitioner 33 years ago, but was drawn to special education issues in 1975 because of personal circumstances involving his disabled son. Out of necessity he has developed an in depth knowledge of the special education rights of school aged children between the ages of three and twenty one.